The Olympic 550 will appeal to the serious poultry breeder who demands the very best incubator available, that will produce outstanding results. Our microprocessor controls, in terms of precision and reliability, are by far the best on the market, with a failure rate of less than 0.1% in the first 5 years. 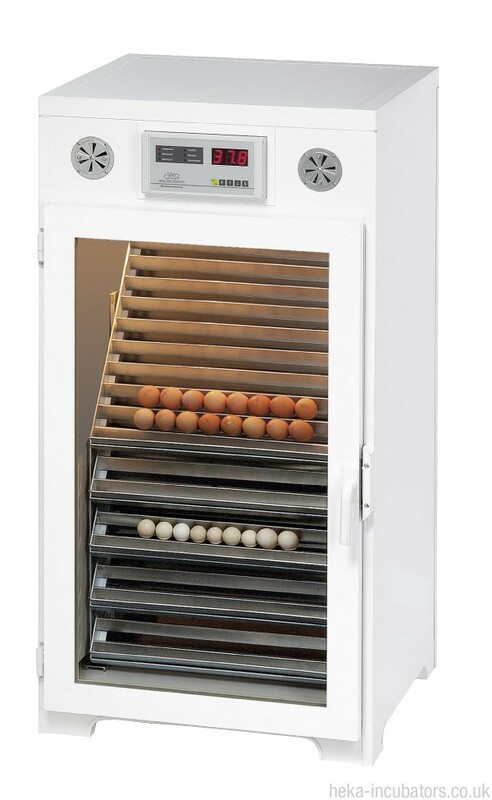 The incubator is equipped with the following as standard; an interior light, five Incubating trays of your choice, a water canister, and a detailed user manual.